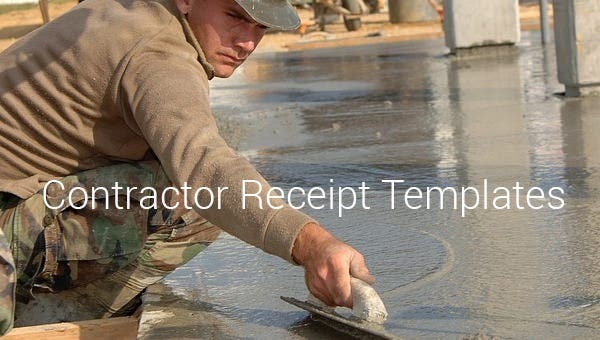 Contractors serve their customers based on the service or project asked to them in a specified period of time, amount of payment for the labour and materials to be used and terms of the contract for the completion of the task assigned. 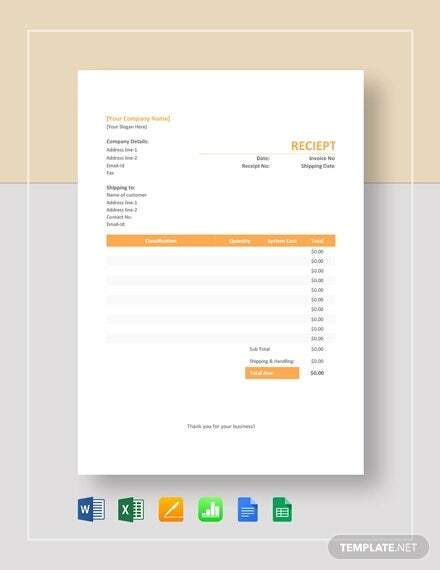 Choosing a service invoice template will provide samples for contractor receipt samples. 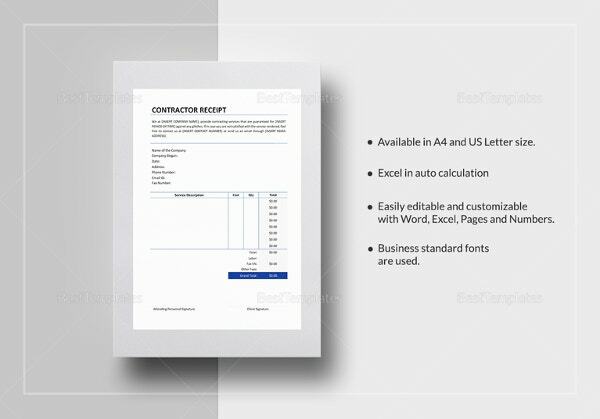 This Construction Receipt Templates will be given to the customers after settling the payment for all the services and items provided. 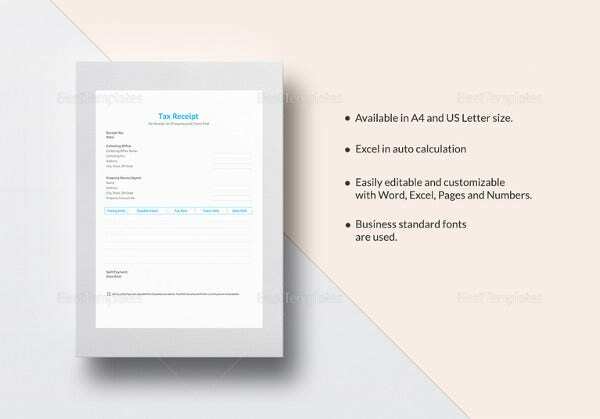 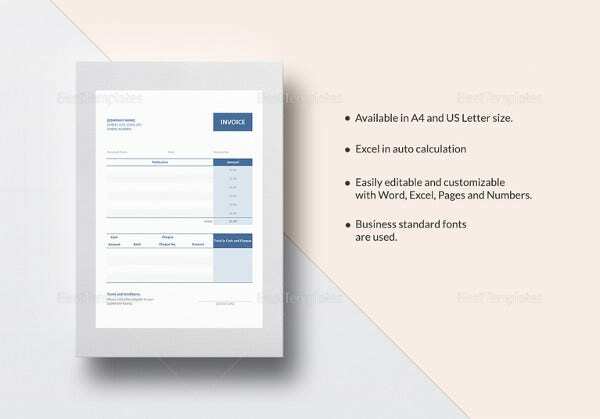 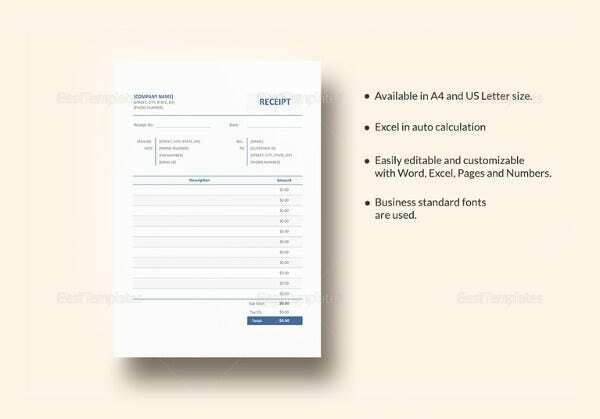 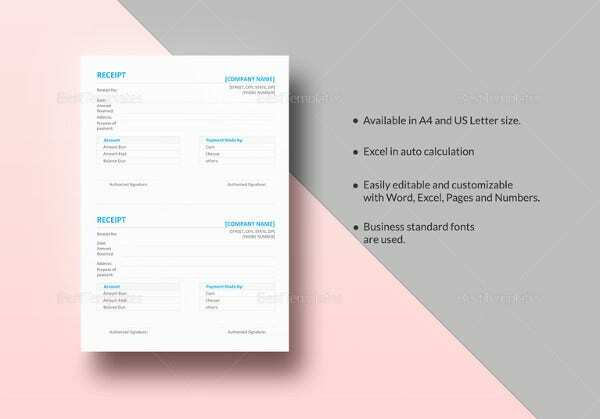 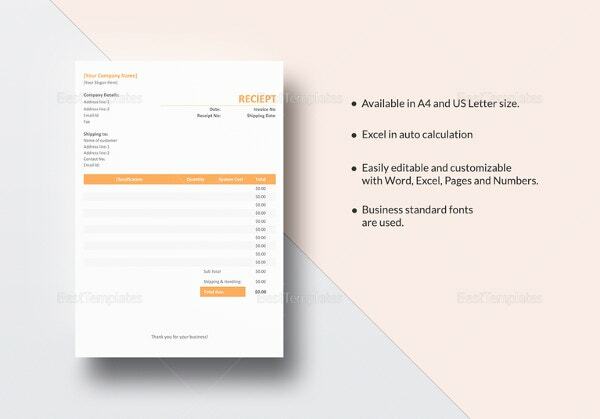 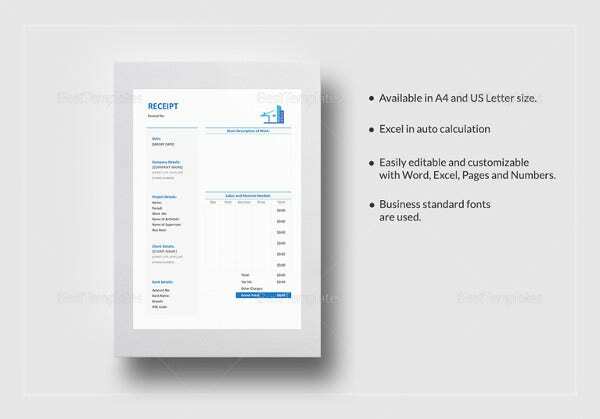 Format and designs must be meticulously selected for the easiness of creating an Appropriate Receipt Templates regarding contractual projects. 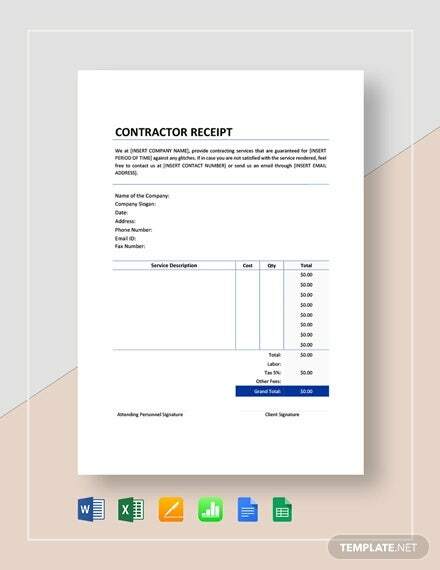 Not all templates are appropriate for contractual service, contractors must based their receipt on the expenses done for the finished project for their customers.